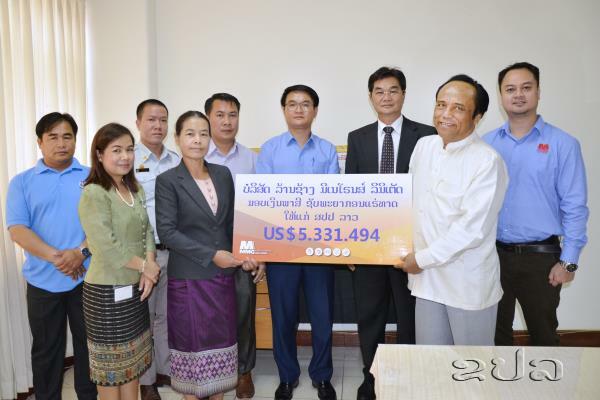 (KPL) Mr Saman Aneka – Managing Director and Stakeholder Relations Manager, MMG LXML Sepon, handed royalty payment for 2nd quarter 2018 production of US$ 5.33 million to Ms Kaseumsy Phommavongsa, Director General of State Assets Management Department, Ministry of Finance. This brings total royalties paid by LXML in 2018 to US$11.68 million. Since production commenced in 2003, MMG LXML Sepon has contributed approximately US$1.4 billion in direct revenue to the Lao Government including over US$129 million in royalties.